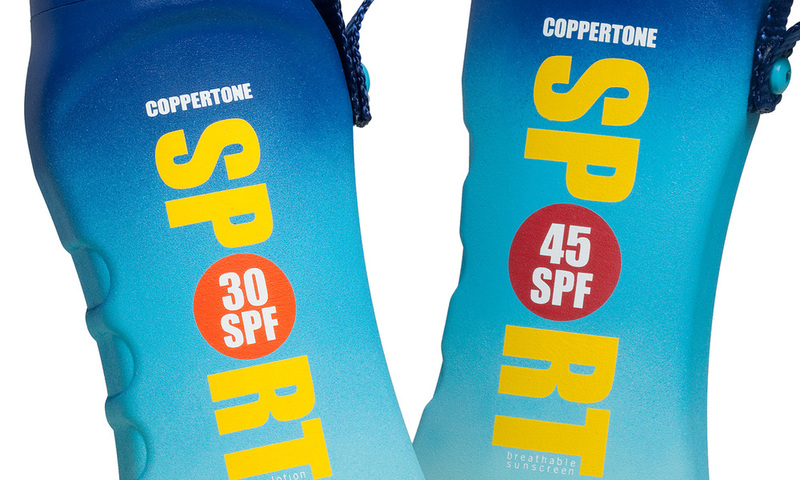 Package Design for Coppertone Sport Sunscreen, America’s leading brand for sun care. Due to the masculine shape and colors, the current packaging looks dated and speaks more to a male audience. The focus on this project was to emphasize and reflect the company’s equity and value of the brand. The logo and package design reflect a modern, energetic, high performance look and feel and speaks to both a male and female audience. The SPF is easy to identify, and the colors correspond to the different levels of SPF. The new shape of the bottle is not only durable, but the handle makes it effortless for fitness enthusiasts to carry.